Protecting your home or commercial property from the damage that storms and salt sprays can bring is a wise investment when living on coasts. By buying the right Bahama or colonial style shutters, property owners can get the best in style and protection. A wholesale manufacturer like us at Master Aluminum, afford buyers better pricing by cutting out the middleman. Regardless of where you go, it will be challenging to receive great pricing with your bulk order unless you are dealing with the makers. Morehead City residents also receive better support and can work directly with us to develop their blinds to their specific properties. Rather than wasting time attempting scouring through catalogs for specifications, all our products are made to order. This way, Morehead City customers save by not having to return mismatching frames, and we do not waste funds develop standard sizing that may not benefit buyers. What Makes Aluminum So Effective? With a wholesale manufacturer like Master Aluminum, you receive high-quality aluminum frame builds. One of the most significant benefits is that the material is solid. When comparing it to other materials like wood or vinyl, it merely can take more damage. Commercial properties and homes along coastal locations like Morehead City are better off avoiding weaker was. As deforestation continues to ravage certain parts of the world, many manufacturers are steering towards more environmentally friendly choices. Wood is often expensive while not providing more protection. Indeed, the only benefit to the material is the look. However, proper treatment and painting can make aluminum look just as great. With metals, buyers also often save more as it cost less for a wholesale manufacturer to produce. Vinyl is even worst when it comes to environmental damage. The plastic relies on costly fossil fuels and produces dangerous gases. Other studies have also found that even recycled vinyl products are not environmentally friendly. One study noted that many vinyl plastics had trace amounts of lead, cadmium, and other toxic chemicals. Morehead City residents can avoid potential toxic plastics by investing in less damaging aluminum. Working with a wholesale manufacturer like us at Master Aluminum also affords you higher-quality designs. Our frames employ a unified model with a finish that produces no visible welds. Other metal frames may have unsightly weld marks and paint finish that was done before drilling holes. Our frames avoid those amateur mistakes. We provide our Morehead City clients with the best-looking finish possible. The unification of the frame also makes the entire structure more durable and resistant to damage. 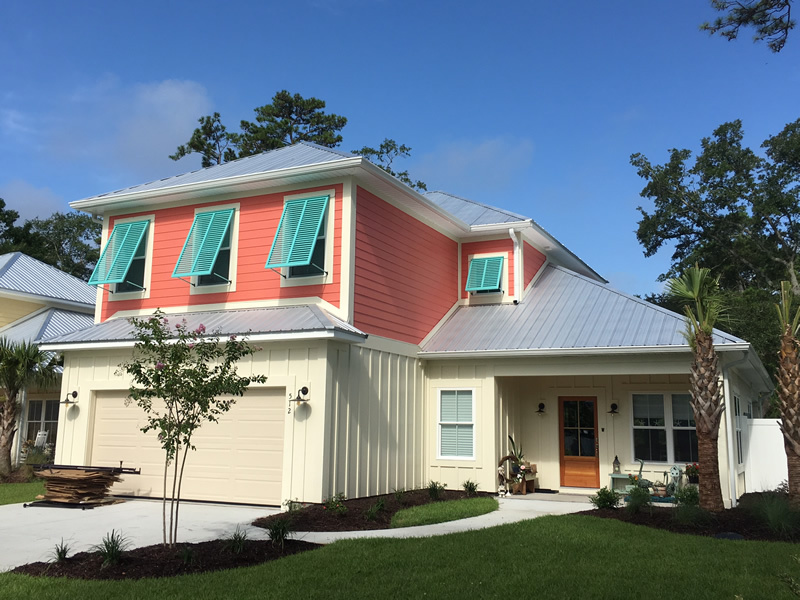 Options like our hurricane rated Bahama shutters are resistant to high-speed winds and are much less likely to break open. Another significant benefit of working with a wholesale manufacturer that uses aluminum is that orders are more comfortable to shape weighs less than steel. This allows for better customization for more than window frames. Glass sliding doors are some of the most at-risk areas. Once they begin to crack, they typically shatter soon after. Having protective Bahama or Colonial shutters can save you the expense of replacing large glass doors. Morehead City residents can also take advantage of our customization to design Bahama shutters for archways and more. Morehead City residents can avoid a local store; we offer clients the opportunity to avoid overhead costs. You can also decide between decorative Bahama and Colonial shutters if you are not in a high-velocity wind zone. Aluminum shutters will retain their color longer and provide a clean look to any home or commercial property., you can contact us at (727) 725-1744 or by going online to get the most with a wholesale manufacturer you can rely on.